Recently I decided to try eating gluten free most of the time. I eat 98 percent gluten free at home and try to mostly avoid it when eating out (although I do love food and won’t give up a great meal because it has gluten in it). So when I decided to make lasagna last week I faced the task of making my favorite Italian dish gluten-free and tasty. There are quite a few gluten-free noodle options out there but I wanted to try a healthier option. So I did some research and bought three medium-sized zucchini. 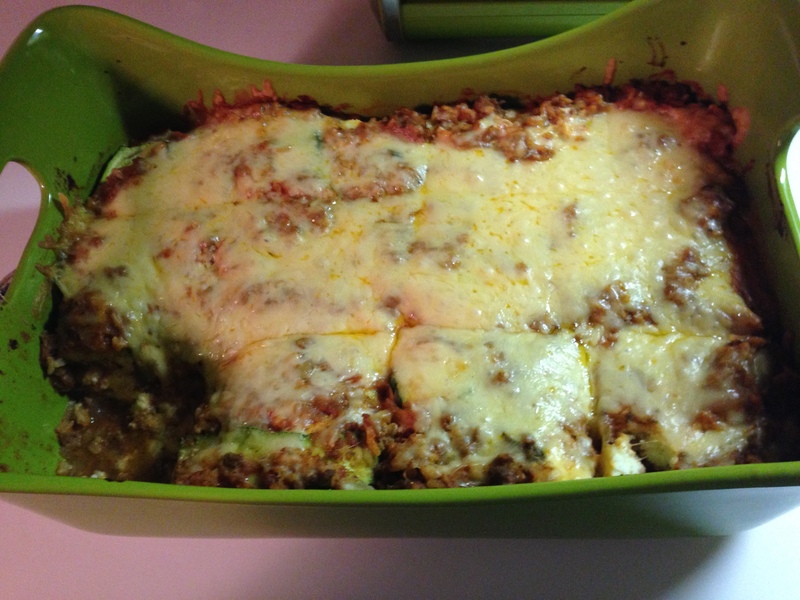 The recipes I read online said the zucchini should be sliced 1/8 of an inch thin and grilled before starting to layer the lasagna. I don’t have a mandolin so my zucchini was a little thicker than they should be. I also don’t have access to a grill so my zucchini slices went in raw. But zucchini has a lot of water in it so I laid all of my slices out on paper towels and sprinkled salt on them to draw the water out. I let them sit for 10 minutes or so and dabbed off the extra water that pooled on top. I mixed up the regular cheese mixture of ricotta and mozzarella cheese and an egg. For the sauce mixture I used ground beef, a jar of Market Pantry pasta sauce, some fresh sliced Serano peppers (I think I sliced up 3), some italian spices, garlic powder, mushrooms and a little less than a cup of brown rice. I originally planned on using lentils, but I didn’t have any so I used up a random bag of brown rice in my cupboard (to save time – and dishes – I cooked the rice in the microwave). With all of my ingredients I was able to get two full layers and then a random layer of what I had left – I probably should have bought four zucchini and a mandolin so my slices would be thinner. FOODNOTES: The best part of my zucchini was how good it was for me…my recipe made 12 portions, and each slice had 436 calories and 36 grams of protein! I plan on getting a mandolin in the near future to make my zucchini slices the perfect thickness. I also want to try using lentils like my original plan, but I will definitely be making this flavorful, healthy dish again! 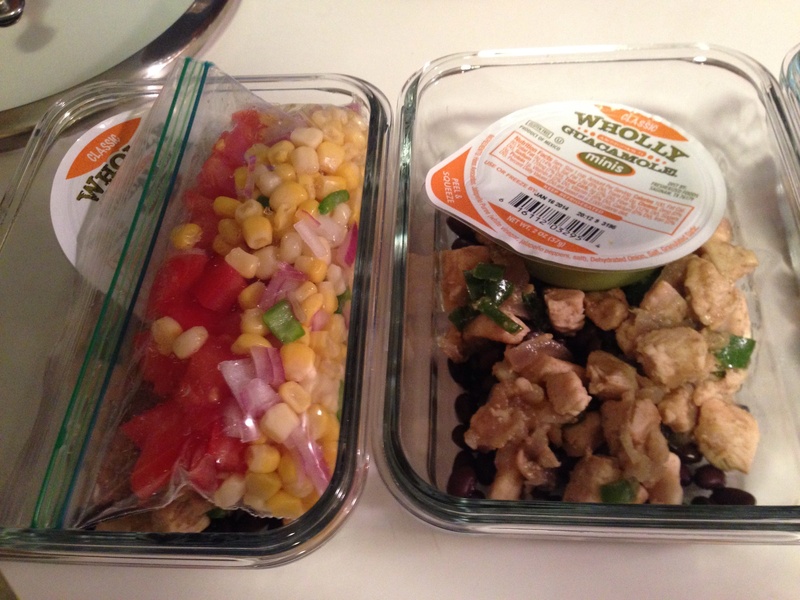 Do you have any dishes you change up to make healthier and tastier? What do you think are the best ingredients to use to cut out calories and add in protein? Can a salad really be this good? 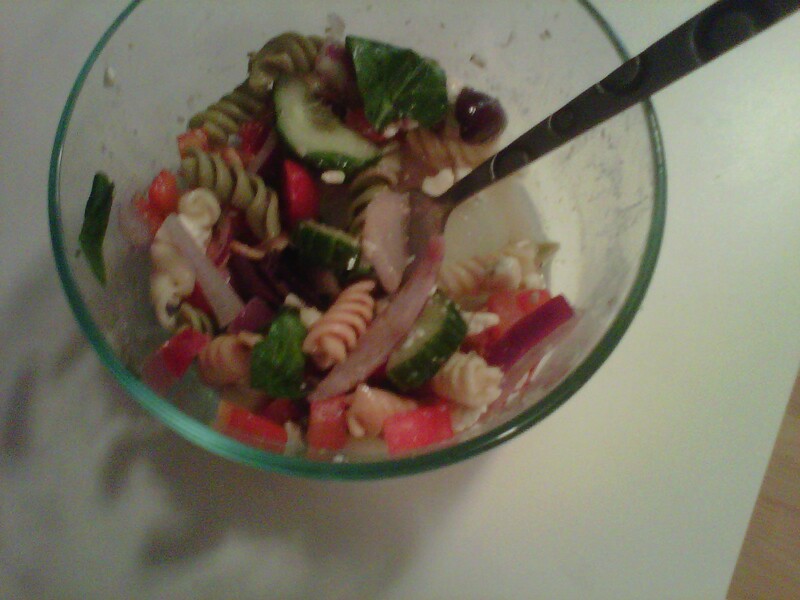 I have tried to make pasta salads from scratch and both times I have ended up throwing away a majority of it. The first time the canned beans I put in the mixture mushed and created this weird good all over that made everything pretty inedible. The second time the dressing I made was so spicy and vinegary I couldn’t even swallow it. 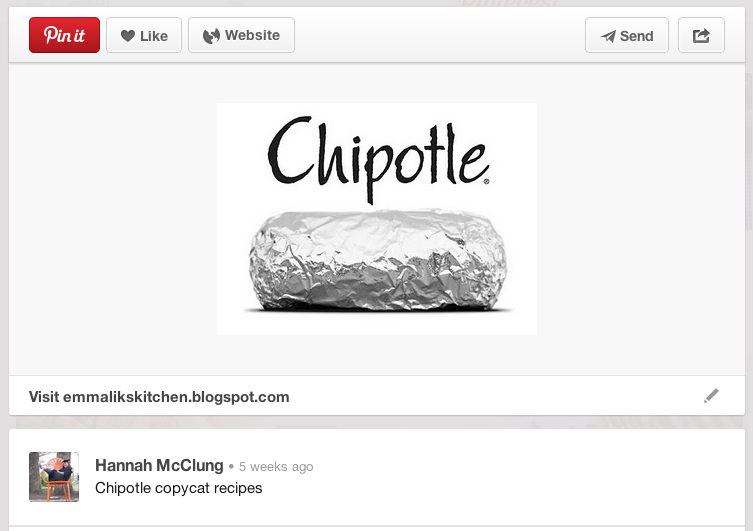 So when I found this recipe I was excited but hesitant. After reading the simple ingredients of the dressing I decided to go for it and it was a good decision because I’ve found THE BEST RECIPE FOR HOMEMADE PASTA SALAD! Below is the recipe but here are some quick tips. Don’t stray from the dressing ingredients because they are perfect the way they are. However, do stray away from the rest of the ingredients if you want. Use what you have. Use what’s in season. Use what’s on sale (that’s what I did!). Sub things you like for things you don’t! I wouldn’t eliminate the feta or kalamata olives unless you really don’t like either because they go so well with the dressing! Bottom line: I really don’t like spinach but decided to add it anyway and you don’t even taste it in this so this salad is an amazing way to get the health benefits from something you don’t always eat. Also, I bought a container of feta and a jar of kalamata olives. Both were larger than the recipe called for but I tossed all of them in and it turned out awesome! I added chopped red peppers but other good additions would be carrots and arugula instead of spinach. >A couple weeks ago I was reading the newest All You magazine (if you’ve never heard of it give it a look see, it is amazing! coupons, recipes, DIY advice!) 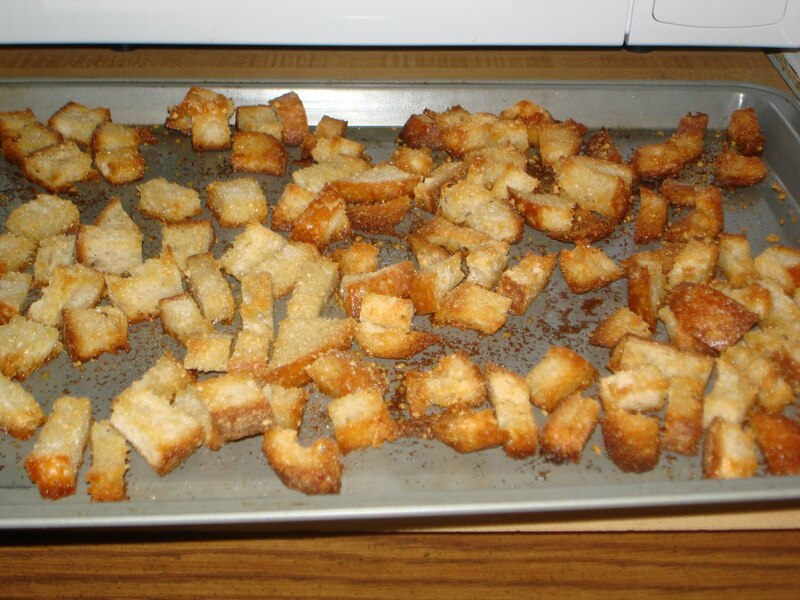 and one of the featured DIY articles was about making your own croutons. And after reading the article I am now going to claim that they stole all my ideas. A week before the magazine came out I was trying to figure out what to do with a week old loaf of sourdough bread I had forgotten I had in my cupboard. After realizing the bread would probably mold before I could eat it as just bread, I decided I either needed to make bread pudding or croutons. And since I’m not the biggest sweets fan I opted for the crouton idea. I wanted to make something based on my flavor preferences so I didn’t look up any recipes online. I jumped right in, preheated the over to 400 degrees (my philosophy is the hotter the oven, the faster the food cooks! ), and cubed the bread into bite sized pieces. Then I doused the bread in olive oil, garlic powder, chili powder, salt and Parmesan cheese. I baked them for 10 minutes, tried to flip over each crouton (which definitely didn’t happen because I’m not that patient) and baked for another 10ish minutes. And that, ladies and gentleman, is exactly what the All You article said. I’m pretty sure they know they copied me because now I can’t find the article on their website ;). Something I also did, and the article agreed with, is that I put the croutons in an air tight container and ate them within a week. 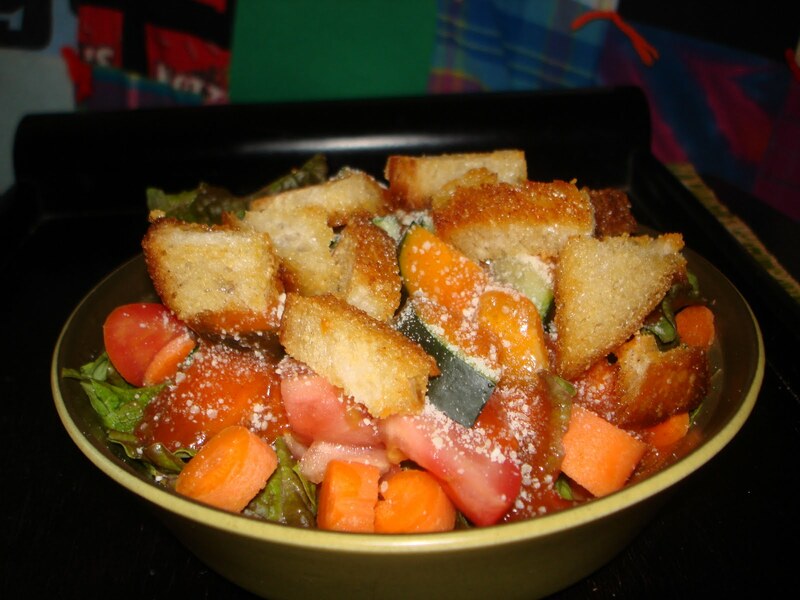 Bottom line: Buy a type of bread you like, eat half of the loaf and make the rest into croutons. Also, use ingredients you prefer instead of a recipe (you’ll enjoy them more!) and never tell anyone your brilliant ideas because they will end up in a magazine a month later! >I am a huge fan of semi-homemade (not the show…Sandra Lee freaks me out…but the mode of cooking!). I find the best spaghetti sauce is one where you take a jar of sauce and add a bunch of ingredients to it. Recently I did this and had a really great dinner! I bought a low sodium, no sugar added jar of tomato basil store brand sauce. It was really cheap and didn’t really have a lot of flavor by itself. But when I added some garlic powder, hot sauce, a can of mushrooms and some ground beef (that was cooked with onions and garlic). The sauce turned out really well and took less than 30 minutes! If I had to make that sauce from scratch it would have taken a lot more time…I don’t even know how to make sauce from real scratch. The only thing I can think of would be to combine tomatoes and tomato paste but those both come out of cans! I think I’ll stick with semi-homemade! I put the sauce on top of some tri-color cheese tortellini. It was really good! Then, I had leftovers and the last day I had sauce left but not tortellini. So I made a chicken breast and put the sauce on top…tasty! Have any dishes you make semi-homemade because the from-scratch version would take absolutely way too long? Let me know! >I absolutely love fall and there’s nothing more fall to me than the Dane County Farmers’ Market. Don’t get me wrong, I am an equal opportunity Farmers’ Market lover but the Dane County market has a special place in my heart. This morning I got up before the rest of campus just to go to the market. I love buying fresh vegetables in the crisp fall weather! I bought two jars of natural jam (stocking up for the winter! ), four heirloom tomatoes, an eggplant, a huge onion, a butternut squash, a flowering cabbage and a green pepper. I plan to make a lovely stir fry and a casserole tomorrow to eat off of this week, both including all of the produce I bought this morning! I was a little sad that the cucumber season seemed to be over and I hope next week vendors will still have lettuce, carrots and tomatoes! I also love that I can go to the market looking for cucumbers but when I’m told the season is over I can find a new ingredient! I have never seen or eaten a flowering cabbage but it is beautiful and has a peppery flavor! I am very excited to make a salad with it! Happy farmers’ marketing…there are only a couple weeks left in the growing and harvesting season!